If you have not met Kristen then you should.... right now.... go ahead. She is the blogger at Chasing Blue Skies. Go take a look.... I will wait right here. 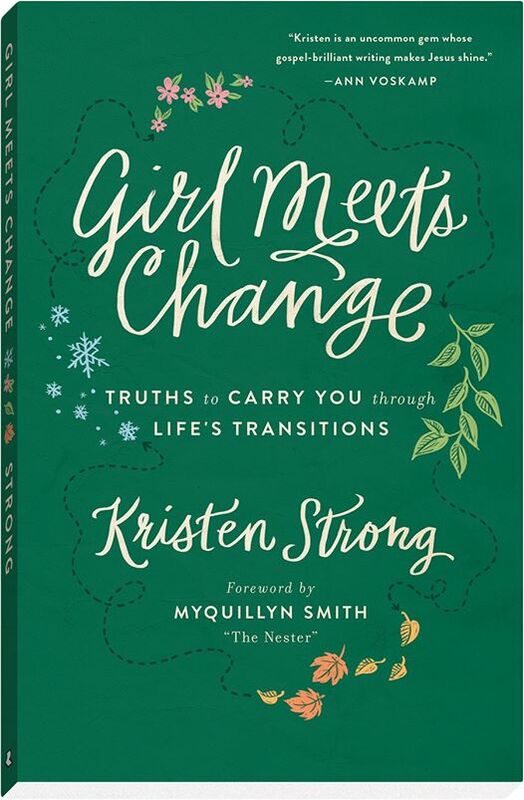 Girl Meets Change: Truths to Carry You Through Life's Transitions. 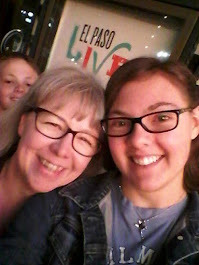 She is a girl like us... who wouldn't love someone who, and I quote, "I eat pie for my own happiness"
She is the wife of a retired Air Force officer and mother of twin boys and a daughter. She writes about that life a lot on her blog but this book is SO MUCH MORE than that. It is for everyone who will ever experience change in their lives.... and that is EVERYONE! This book is full to overflowing with examples in scripture and her own personal experiences and encounters with how change is good for us. Change is an inevitable part of life and she shares with us how we can embrace it rather than cower in fear in the corner when it shows up. 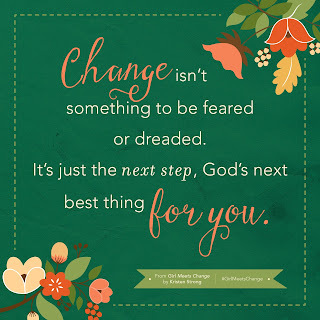 She shows us over and over how God works through the changes in our lives to bring about His best for us. 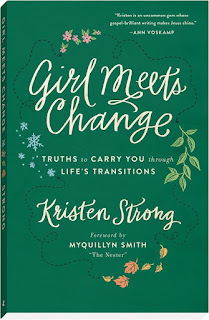 She shares stories of hope in hard places and how God prepares us before we even know that the change is coming. Chapter after chapter connects us to examples in God's word of how He used change to shape Abraham, Ruth, Esther, Joseph and others. She shares stories from precious women she has been blessed to know along the way. She shares her own story with her family and change that has rocked their world. We can take courage that He loves us every bit as much as He does those examples and that His will for our lives is perfected in change. If you are experiencing change in your life I encourage you to read this. 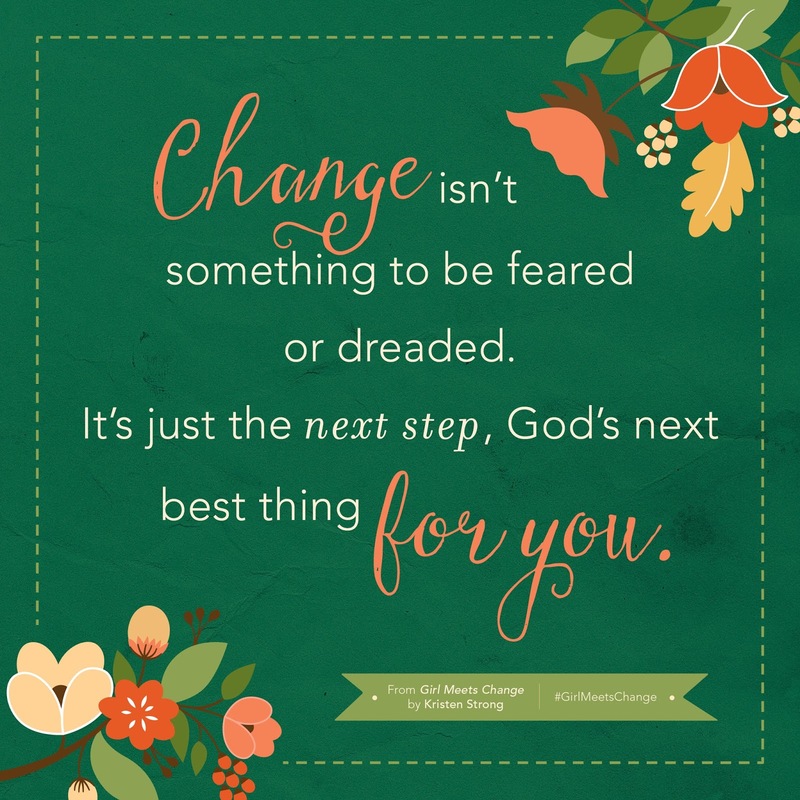 If you are fearful or depressed over the changes you face take heart and trust God with every bit of it. I am part of the launch team and was blessed to enjoy an advanced reader copy of this book in exchange for a fair assessment of it. I would gladly give this book a solid 4 out of 5 stars.